Realistic and fun UI and workflow. 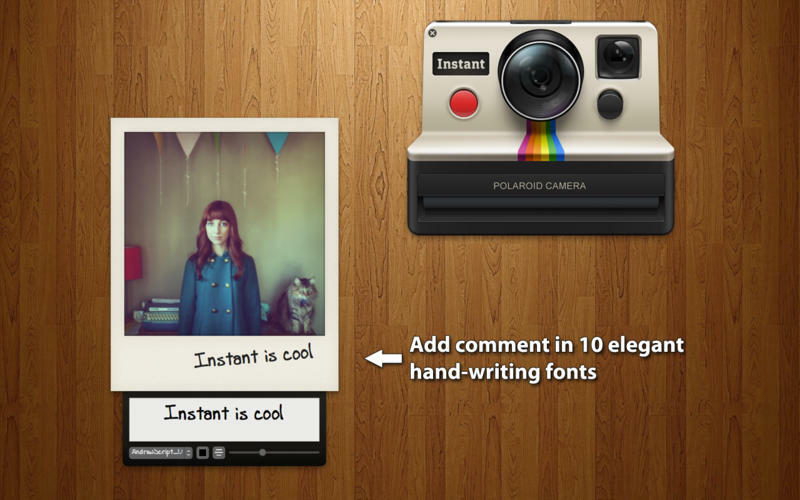 Instant mimics the workflow of a real Polaroid instant camera. Drag and drop your photo on to the camera, a view finder will pop up. Carefully select your field of view and click 'Shoot'. A picture framed with Polaroid classic border will slide out. Wait for it to "dry". Slowly the developed picture will finally show! 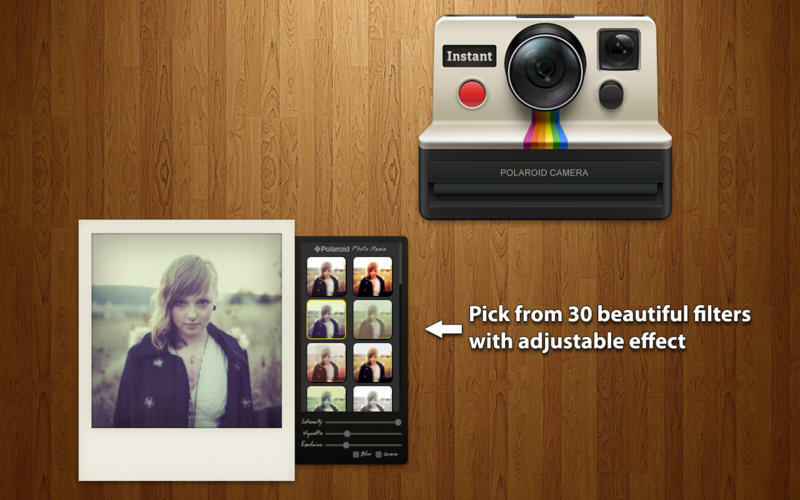 30 vintage effect filters including 10 classic Polaroid filters. Each filter can adjust intensity, vignette, emulsion and blur effect. Add hand-writing comment on the border, just like the really thing. Choose from 10 elegant hand-writing fonts. User can add their own fonts. Comment can be rotated and rescaled freely. Pictures can be saved in original resolution with print quality, or in fixed size. 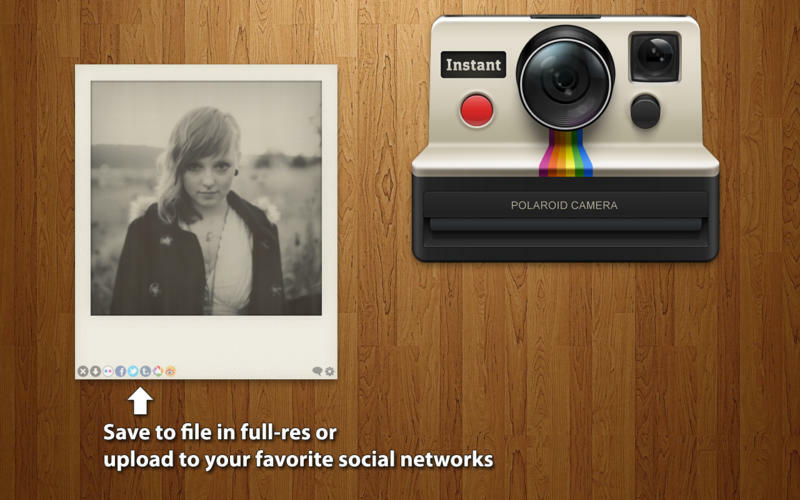 Effortlessly upload and share on facebook, twitter, flickr, tumblr and picasa. Instant supports JPEG, PNG, TIFF, GIF & BMP file formats. Fixed the bug that some images were loaded sideways.